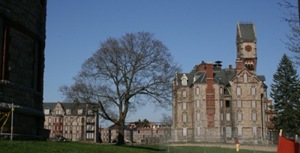 Bangor State Hospital, now Dorothea Dix Psychiatric Center, was established in 1895. It is still active and operating with 51 beds for people with sever mental illness. Operating on a much smaller scale than it did historically, it provided the opportunity to photograph some of the abandoned hospital and be transported into the past. Overall, a beautifully preserved piece of living and important history.